Given the recent escalation of immigration enforcement, numerous undocumented immigrant New Yorkers are uncertain about their ability to remain in the United States. As a result of that uncertainty, many are concerned about the consequences to their children if they (the parents) are targeted for immigration detention or deportation. On Monday, March 19, attorneys of Her Justice will present a CLE program that will enable pro bono lawyers to help families develop a tailored plan of action in case family members are taken into immigration custody. Participants will learn how to make an individualized assessment of each family’s needs, including compiling important documents and contacts, and advising on options with respect to powers of attorney, custody and guardianship, and Designation of Parental Authority forms to ensure that a responsible adult can make educational and medical decisions for children in case of their parents’ arrest, detention or deportation. Participants will also receive a brief overview of immigration law, including options for undocumented immigrants, naturalization procedures and information on current trends in the immigration landscape. To RSVP for this CLE program and/or volunteer for the Community Immigration Forum (see below), please click here. KALAGNY has partnered with Her Justice, Korean American Civic Empowerment (KACE), Korean American Family Service Center (KAFSC), Korean Community Services of Metropolitan New York (KCS), and the Minkwon Center for Community Action to host a Community Immigration Forum. This is a first-of-its-kind workshop event led by Korean-American representatives from the community-based organizations in Queens. Please sign up to volunteer on Saturday, March 24 from 10 a.m. to 2 p.m. at the KCS offices in Bayside, Queens (203-05 32nd Ave, Bayside, NY 11361). We need both immigration attorneys to do consultations and non-immigration attorneys to assist with form intake and to provide information about emergency planning for immigrant families. The informational flyer for community members can be seen here (pdf) (please note that volunteers should sign up using the link below, rather than via the RSVP information in the flyer). To volunteer for this community forum and/or attend the Immigration Custody Response Training CLE (see 3/19 event, above), please click here. Panel: “Belonging: Being Out and Asian in the Legal Profession and our Communities"
The LGBT Committee of the Asian American Bar Association of New York (AABANY) and McDermott Will & Emery invite you to a diversity and inclusion panel discussion that will provide various perspectives of being out as LGBT people and as Asian Americans at work, in the legal profession, our families, social media, and faith communities. This annual educational panel provides an opportunity for LGBT API members of the bar in corporate firms, in-house, government, public interest, and law school to network and learn about current issues impacting our community and profession. Date/Time: Wednesday, March 14, 2018, 7:00 p.m. to 9:00 p.m.
RSVP here (required for building access). The panel is co-sponsored by KALAGNY, Filipino American Lawyers Association of NY (FALA-NY), LGBT Bar Association of Greater New York (LeGaL), National Asian Pacific American Bar Association (NAPABA), National Queer Asian Pacific Islander Alliance (NQAPIA) and South Asian Bar Association of New York (SABANY). Please join KALAGNY and AABANY for a special fundraiser where we will fill backpacks with toys, arts & crafts supplies, and other goodies for children with cancer. We supply the bags and the goodies, while you help assemble and decorate the bags. Our goal is to assemble 100 bags for toddlers/kids, and teens who are served by the Stephen D. Hassenfeld Children’s Center for Cancer & Blood Disorders. Proceeds from the evening will be donated to the Han C. Choi Scholarship Fund. Food and open bar for participants. AABANY and KALAGNY will hold a silent auction throughout the evening. Prizes include dinners with Don Liu (GC, Target), Parkin Lee (GC, Rockefeller Group), Michael Wu (GC, Carters), Michael Lewis (GC, Bolla Oil), Michael Rhee (GC, Durst Organization), Jung Choi (Bristol-Myers Squibb Company), and others. *Donations of special request items would be appreciated. Please contact Michael Yim (myim@kelleydrye.com) for a list of special request items. KALAGNY, AABANY, APALA-NJ, Bank of America, Venable LLP, and AmTrust Title Insurance invite you to a two-part CLE on Wednesday, March 28. The CLE highlights the potential implications of blockchain technology on areas of legal practice including real estate, IP, securities and tax law. For more information on the presenters and the topics covered, please see the event flyer here (pdf) or email Margaret Ling at margaret.ling@aabany.org. 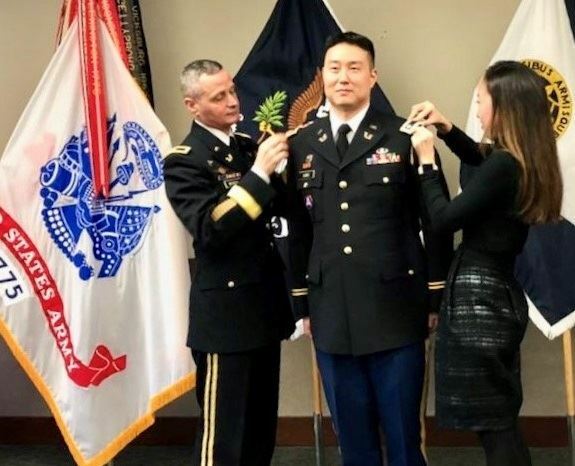 Congratulations to KALAGNY member Brian Song for his promotion to Lieutenant Colonel, United States Army Reserve. Brian was promoted on February 23, 2018 (retroactive to November 2017) by Brigadier General Joseph Berger, the Commanding General of the United States Army Legal Services Agency. KALAGNY congratulates you on this achievement and thanks you for your continued service! The New York office of KOTRA (Korea Trade-Investment Promotion Agency), a Korean government-funded agency designed to promote international trade and investment activities of Korean businesses, is compiling a list of Korean-proficient attorneys based in the New York metropolitan area who specialize in intellectual property law, employment law, immigration law, and/or corporate law (either litigation or transactional). KOTRA's New York clients, which are mostly small and medium-sized businesses looking to expand in the U.S. market, need legal advice in these areas, and many of them seek referrals through our office. If you or your firm is interested in being listed in KOTRA New York’s attorney directory, please email Dami Park, Esq. at damipark@kotra.or.kr with your contact information and area(s) of practice. Click here to submit a program proposal today! The deadline is Monday, March 26 at 8 p.m. For more information about NAPABA's 2018 Call for Programs, visit www.napaba.org/18_CFP. The Asian American Legal Defense and Education Fund (AALDEF) is a New York-based national organization that protects and promotes the civil rights of Asian Americans through litigation, advocacy and community education. AALDEF is currently seeking a Voting Rights Organizer. The full position description, list of qualifications and application instructions can be found here (pdf). For more information about AALDEF and its voting rights activities, visit www.aaldef.org. 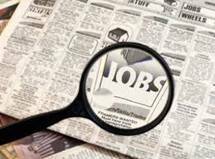 KALAGNY members can view all of our other current job postings by logging in on our website or by clicking here. KALAGNY offers its members numerous programs and activities - something for everyone. Join today.